The original article can be found online at https://doi.org/10.1007/s40279-019-01088-8. Knee extensor strength was reduced post-immobilisation using a brace (n = 14: range − 1.1 to − 4.0% day−1; median − 2.0% day−1) and ULLS (n = 7: range − 0.5 to − 1.3% day−1; median − 1.0% day−1). Plantar flexor strength declined following the use of casts (n = 3: range − 1.6 to − 2.0% day−1; median − 1.8% day−1) and using ULLS (n = 6: range − 0.3 to − 0.9% day−1; median − 0.7% day−1). In the studies that specifically cast the ankle, both observed plantar flexor strength declined (n = 2: − 1.1% day−1 and − 1.2% day−1). Dorsiflexor strength was only measured in one study, which showed an overall decline (− 1.6% day−1). Upper limb immobilisation caused a loss in strength of the elbow flexors (n = 3: − 0.9 to − 1.3% day−1; median − 1.2% day−1). By contrast, the loss of elbow flexor strength when immobilisation was achieved using a sling was variable across studies (n = 2: + 0.1% day−1 increase and − 0.3% day−1 decrease). Elbow extensor strength declined across all studies using both brace (n = 3, − 0.6 to − 1.3% day−1; median − 1.1% day−1) and sling (n = 1, − 0.2% day−1) immobilisation methods. Wrist flexor strength decreased across all studies (n = 6: range − 0.5 to − 3.9% day−1; median − 1.8% day−1), while a single study measured a decrease in wrist extensor strength (− 3.5% day−1) following use of casts. Immobilisation of the finger and thumb muscles via brace or cast resulted in both increases and decreases (n = 11: range + 0.6% day−1 increase to − 26.5% day−1 decrease; median − 1.6% day−1). Studies using a fixed-angle brace model observed a decline in muscle size in the muscles above the knee (n = 5: range − 0.2 to − 0.6% day−1; median − 0.4% day−1) and below the knee (n = 4: range − 0.4 to − 0.7 day−1; median − 0.6% day−1). Following lower limb suspension, muscle size decreased above the knee (n = 5: range − 0.3 to − 0.5% day−1; median − 0.3% day−1) and below the knee (n = 6: range − 0.3 to − 0.4% day−1; median − 0.4% day−1). Declines in upper limb muscle size were established after brace (n = 9: range − 0.1 to − 0.7% day−1; median − 0.2% day−1) and sling (n = 3: range − 0.1 to − 0.3% day−1; median − 0.2% day−1) immobilisation. The rate of strength loss was greater than the rate of muscle size loss across all studies where both parameters were available (Fig. 4). Resting Twitch Force: Lower limb Knee extensor twitch force (Fig. 5) decreased following bracing (n = 2: − 1.6 and − 2.0% day−1) but the rate of change both increased and decreased following ULLS (n = 3: range + 0.2% day−1 increase to − 0.6% day−1 decrease; median − 0.5% day−1). Plantar flexor twitch force increased following knee (n = 2: + 0.4 and + 1.5% day−1) and ankle (n = 2: + 0.8 and + 4.1% day−1) bracing and exhibited both an increase and a decrease following ULLS (n = 2, + 0.1% day−1 increase and − 0.1% day−1 decrease). Upper Limb The amplitude of resting twitch force evoked in wrist flexor muscles declined (n = 2: − 0.4 and − 0.5% day−1) but increased in the hand musculature (n = 5: range + 0.1% day−1 to + 69.8% day−1; median + 1.2% day−1). Elbow flexor twitch force increased in one study (+ 0.81% day−1). All upper limb measures utilised brace or cast immobilisation (Fig. 5). Force Development and Relaxation: Measures of resting twitch force development and relaxation were reported either as duration or as a rate of change. For the purposes of data summary, all duration data were inverted so that an increase in duration, indicating an impaired response, was expressed as a negative, and therefore a decrease in % change per day indicates an ‘impaired’ response. Force Development: Lower limb Knee extensor force development time (Fig. 6a) either remained unchanged or slowed down following bracing (n = 4: range 0 to − 4.4% day−1, median − 0.7% day−1) and ULLS (n = 3: range − 0.3 to − 3.0% day−1, median − 0.8% day−1). The time for plantar flexor force development was also slower following knee bracing (n = 2: − 1.5 and − 1.9% day−1), ULLS (− 0.1% day−1) and ankle brace (n = 2, − 0.1 and − 1.2% day−1). Upper limb Immobilisation resulted in slower resting twitch force development time (Fig. 6a) in the wrist flexors (n = 2: − 0.1 and − 1.0% day−1) and finger and thumb muscles (n = 4: range − 0.3 to − 1.1% day−1, median − 0.4% day−1). One study measured a slowing of elbow extensor force development (− 0.5% day−1) whilst elbow flexor force development displayed both increase and decrease (n = 3: range + 0.04% day−1 increase to − 0.6% day−1 decrease, median − 0.4% day−1). Force Relaxation: Lower limb The studies reported a wide range of change across the lower limb (Fig. 6b), while one study showed an increase in knee extension relaxation time following ULLS (− 0.5% day−1). Two studies showing an increase in plantar flexor relaxation time following brace immobilisation (n = 2: − 0.8 and − 1.5% day−1), while a single study observed a decrease following ULLS (+ 0.1% day−1). Ankle immobilisation also slowed relaxation (n = 2: − 0.9 and − 1.5% day−1). Upper limb Force relaxation (Fig. 6b) increased in the wrist flexors (− 0.2% day−1), while finger and thumb relaxation was also prolonged (n = 3: range − 0.2 to − 0.3% day−1; median − 0.3% day−1). Central Motor Drive: Lower limb Central drive (Fig. 7) of the knee extensors decreased following bracing (n = 2: − 0.1 and − 0.7% day−1). Comparable decreases in the knee extensors were observed following ULLS, although one of five studies observed an increase (n = 5: range + 0.1% day−1 increase to − 0.2% day−1 decrease; median − 0.2% day−1). Similarly, the change following ULLS in the plantar flexors displayed both increased and decreased values (n = 4: range + 0.02% day−1 increase to − 0.3% day−1 decrease; median − 0.1% day−1). Following ankle immobilisation, central drive decreased (n = 2: − 0.3 and − 0.6% day−1). Upper limb Central drive (Fig. 7) to the wrist flexors decreased following bracing (n = 3: range − 0.8 to − 1.2% day−1; median − 1.1% day−1). Central drive to elbow flexors decreased (− 0.1% day−1) but increased in elbow extensors (+ 0.1% day−1) following a sling protocol. Volitional Surface EMG Activity: Lower limb The amplitude of knee extensor EMG activity (Fig. 8a) during a maximal manoeuvre declined following bracing in all but one study (n= 9: range + 0.8% day−1 increase to − 5.2% day−1 decrease; median − 1.1% day−1) and ULLS altered EMG similarly with decreased activity (n= 4: range − 0.1 to − 1.0% day−1; median − 0.5% day−1). Plantar flexor EMG activity declined following knee bracing (− 0.4% day−1), ULLS (n= 3: range − 0.1 to 1.7% day−1; median 1.4% day−1) and ankle immobilisation (− 1.3% day−1). Upper Limb EMG activity (Fig. 8a) following bracing declined in the elbow flexors (n= 3: range − 1.6 to − 3.2% day−1; median − 1.6% day−1), elbow extensors (n= 2: − 0.8 and − 4.3% day−1), wrist flexors (− 3.4% day−1) and wrist extensors (− 2.7% day−1). Sling immobilisation also induced a decrease in EMG activity of elbow flexors (− 0.6% day−1) and elbow extensors (− 6.6% day−1). EMG activity of finger and thumb muscles exhibited both increased and decreased findings (n= 3: range + 3.3% day−1 increase to − 3.6% day−1 decrease; median − 0.6% day−1). Compound Muscle Action Potential: Lower limb The amplitude of the compound muscle action potential (Mwave) evoked post-immobilisation (Fig. 8b) exhibited an increase in the plantar flexors following ULLS (n= 3: range + 0.2 to + 1.3% day−1; median + 0.6% day−1) and both increases and decreases following ankle immobilisation (n= 3: range + 0.2% day−1 increase to − 0.4% day−1 decrease; median − 0.3% day−1). Upper limb Across the seven studies measuring the Mwave evoked in upper limb muscles (Fig. 8b), there were amplitude decreases in both wrist flexors (− 1% day−1) and elbow flexors (− 3.2% day−1), with both increases and decreases in the finger and thumb muscles (n= 5: range + 1.6% day−1 increase to − 2.7% day−1 decrease; median + 0.1% day−1). All studies utilised the brace/cast method. Motor Evoked Potential: Changes in motor evoked potential (MEP) amplitudes were only measured in upper limb muscles (Fig. 8c). Elbow flexor MEP amplitude decreased following a sling protocol (− 0.1% day−1) and finger muscles exhibited a decrease following casting (− 13.5% day−1). MEP amplitudes registered in wrist flexors increased following brace/cast protocols (n= 2: + 5.3 and + 12.8% day−1). Hoffmann Reflex: Lower limb The amplitude of the maximal Hoffman reflex (Hmax) evoked in plantar flexors increased following ULLS (n= 2: + 1.0 and + 2.5% day−1; Fig. 8d). Upper limb Hmax measured from wrist flexors increased after cast immobilisation (n = 3: range + 3.4 to + 10.9% day−1; median + 3.7% day−1; Fig. 8d). Knee extensor strength was reduced post-immobilisation using a brace (n = 14: range − 1.1 to − 4.0%·day−1; median − 2.0%·day−1) and ULLS (n = 7: range − 0.5 to − 1.3%·day−1; median − 1.0%·day−1). Plantar flexor strength declined following the use of casts (n = 3: range − 1.6 to − 2.0%·day−1; median − 1.8%·day−1) and using ULLS (n = 6: range − 0.3 to − 0.9%·day−1; median − 0.7%·day−1). In the studies that specifically cast the ankle, both observed plantar flexor strength declined (n = 2: − 1.1%·day−1 and − 1.2%·day−1). Dorsiflexor strength was only measured in one study, which showed an overall decline (− 1.6%·day−1). Upper limb immobilisation caused a loss in strength of the elbow flexors (n = 3: − 0.9 to − 1.3%·day−1; median − 1.2%·day−1). By contrast, the loss of elbow flexor strength when immobilisation was achieved using a sling was variable across studies (n = 2: + 0.1%·day−1 increase and − 0.3%·day−1 decrease). Elbow extensor strength declined across all studies using both brace (n = 3, − 0.6 to − 1.3%·day−1; median − 1.1%·day−1) and sling (n = 1, − 0.2%·day−1) immobilisation methods. Wrist flexor strength decreased across all studies (n= 6: range − 0.5 to − 3.9%·day−1; median − 1.8%·day−1), while a single study measured a decrease in wrist extensor strength (− 3.5%·day−1) following use of casts. Immobilisation of the finger and thumb muscles via brace or cast resulted in both increases and decreases (n= 11: range + 0.6%·day−1 increase to − 26.5%·day−1 decrease; median − 1.6%·day−1). Studies using a fixed-angle brace model observed a decline in muscle size in the muscles above the knee (n= 5: range − 0.2 to − 0.6%·day−1; median − 0.4%·day−1) and below the knee (n= 4: range − 0.4 to − 0.7·day−1; median − 0.6%·day−1). Following lower limb suspension, muscle size decreased above the knee (n= 5: range − 0.3 to − 0.5%·day−1; median − 0.3%·day−1) and below the knee (n= 6: range − 0.3 to − 0.4%·day−1; median − 0.4%·day−1). Declines in upper limb muscle size were established after brace (n= 9: range − 0.1 to − 0.7%·day−1; median − 0.2%·day−1) and sling (n= 3: range − 0.1 to − 0.3%·day−1; median − 0.2%·day−1) immobilisation. Resting Twitch Force: Lower limb Knee extensor twitch force (Fig. 5) decreased following bracing (n= 2: − 1.6 and − 2.0%·day−1) but the rate of change both increased and decreased following ULLS (n= 3: range + 0.2%·day−1 increase to − 0.6%·day−1 decrease; median − 0.5%·day−1). Plantar flexor twitch force increased following knee (n= 2: + 0.4 and + 1.5%·day−1) and ankle (n= 2: + 0.8 and + 4.1%·day−1) bracing and exhibited both an increase and a decrease following ULLS (n= 2: + 0.1%·day−1 increase and − 0.1%·day−1 decrease). Upper Limb The amplitude of resting twitch force evoked in wrist flexor muscles declined (n= 2: − 0.4 and − 0.5%·day−1) but increased in the hand musculature (n= 5: range + 0.1%·day−1 to + 69.8%·day−1; median + 1.2%·day−1). Elbow flexor twitch force increased in one study (+ 0.81%·day−1). All upper limb measures utilised brace or cast immobilisation (Fig. 5). Force Development: Lower limb Knee extensor force development time (Fig. 6a) either remained unchanged or slowed down following bracing (n= 4: range 0 to − 4.4%·day−1; median − 0.7%·day−1) and ULLS (n= 3: range − 0.3 to − 3.0%·day−1; median − 0.8%·day−1). The time for plantar flexor force development was also slower following knee bracing (n= 2: − 1.5 and − 1.9%·day−1), ULLS (− 0.1%·day−1) and ankle brace (n = 2: − 0.1 and − 1.2%·day−1). Upper limb Immobilisation resulted in slower resting twitch force development time (Fig. 6a) in the wrist flexors (n= 2: − 0.1 and − 1.0%·day−1) and finger and thumb muscles (n= 4: range − 0.3 to − 1.1%·day−1; median − 0.4%·day−1). One study measured a slowing of elbow extensor force development (− 0.5%·day−1) whilst elbow flexor force development displayed both increase and decrease (n= 3: range + 0.04%·day−1 increase to − 0.6%·day−1 decrease; median − 0.4%·day−1). Force Relaxation: Lower limb The studies reported a wide range of change across the lower limb (Fig. 6b), while one study showed an increase in knee extension relaxation time following ULLS (− 0.5%·day−1). Two studies showing an increase in plantar flexor relaxation time following brace immobilisation (n= 2: − 0.8 and − 1.5%·day−1), while a single study observed a decrease following ULLS (+ 0.1%·day−1). Ankle immobilisation also slowed relaxation (n= 2: − 0.9 and − 1.5%·day−1). Upper limb Force relaxation (Fig. 6b) increased in the wrist flexors (− 0.2%·day−1), while finger and thumb relaxation was also prolonged (n= 3: range − 0.2 to − 0.3%·day−1; median − 0.3%·day−1). Central Motor Drive: Lower limb Central drive (Fig. 7) of the knee extensors decreased following bracing (n= 2: − 0.1 and − 0.7%·day−1). Comparable decreases in the knee extensors were observed following ULLS, although one of five studies observed an increase (n= 5: range + 0.1%·day−1 increase to − 0.2%·day−1 decrease; median − 0.2%·day−1). Similarly, the change following ULLS in the plantar flexors displayed both increased and decreased values (n= 4: range + 0.02%·day−1 increase to − 0.3%·day−1 decrease; median − 0.1%·day−1). Following ankle immobilisation, central drive decreased (n= 2: − 0.3 and − 0.6%·day−1). Upper limb Central drive (Fig. 7) to the wrist flexors decreased following bracing (n= 3: range − 0.8 to − 1.2%·day−1; median − 1.1%·day−1). Central drive to elbow flexors decreased (− 0.1%·day−1) but increased in elbow extensors (+ 0.1%·day−1) following a sling protocol. Volitional Surface EMG Activity: Lower limb The amplitude of knee extensor EMG activity (Fig. 8a) during a maximal manoeuvre declined following bracing in all but one study (n= 9: range + 0.8%·day−1 increase to − 5.2%·day−1 decrease; median − 1.1%·day−1) and ULLS altered EMG similarly with decreased activity (n= 4: range − 0.1 to − 1.0%·day−1; median − 0.5%·day−1). Plantar flexor EMG activity declined following knee bracing (− 0.4%·day−1), ULLS (n= 3: range − 0.1 to 1.7%·day−1; median 1.4%·day−1) and ankle immobilisation (− 1.3%·day−1). Upper Limb EMG activity (Fig. 8a) following bracing declined in the elbow flexors (n= 3: range − 1.6 to − 3.2%·day−1; median − 1.6%·day−1), elbow extensors (n= 2: − 0.8 and − 4.3%·day−1), wrist flexors (− 3.4%·day−1) and wrist extensors (− 2.7%·day−1). Sling immobilisation also induced a decrease in EMG activity of elbow flexors (− 0.6%·day−1) and elbow extensors (− 6.6%·day−1). EMG activity of finger and thumb muscles exhibited both increased and decreased findings (n= 3: range + 3.3%·day−1 increase to − 3.6%·day−1 decrease; median − 0.6%·day−1). Compound Muscle Action Potential: Lower limb The amplitude of the compound muscle action potential (Mwave) evoked post-immobilisation (Fig. 8b) exhibited an increase in the plantar flexors following ULLS (n= 3: range + 0.2 to + 1.3%·day−1; median + 0.6%·day−1) and both increases and decreases following ankle immobilisation (n= 3: range + 0.2%·day−1 increase to − 0.4%·day−1 decrease; median − 0.3%·day−1). Upper limb Across the seven studies measuring the Mwave evoked in upper limb muscles (Fig. 8b), there were amplitude decreases in both wrist flexors (− 1%·day−1) and elbow flexors (− 3.2%·day−1), with both increases and decreases in the finger and thumb muscles (n= 5: range + 1.6%·day−1 increase to − 2.7%·day−1 decrease; median + 0.1%·day−1). All studies utilised the brace/cast method. Motor Evoked Potential: Changes in motor evoked potential (MEP) amplitudes were only measured in upper limb muscles (Fig. 8c). Elbow flexor MEP amplitude decreased following a sling protocol (− 0.1%·day−1) and finger muscles exhibited a decrease following casting (− 13.5%·day−1). MEP amplitudes registered in wrist flexors increased following brace/cast protocols (n = 2: + 5.3 and + 12.8%·day−1). Hoffmann Reflex: Lower limb The amplitude of the maximal Hoffman reflex (Hmax) evoked in plantar flexors increased following ULLS (n = 2: + 1.0 and + 2.5%·day−1; Fig. 8d). Upper limb Hmax measured from wrist flexors increased after cast immobilisation (n = 3: range + 3.4 to + 10.9%·day−1; median + 3.7%·day−1; Fig. 8d). The decline in contractile function must also be considered alongside the observation across the majority of studies that central motor drive was decreased following periods of immobilisation (− 0.2% day−1 pooled median value). The decline in contractile function must also be considered alongside the observation across the majority of studies that central motor drive was decreased following periods of immobilisation (− 0.2%·day−1 pooled median value). The current analysis pointed to differential effects of immobilisation on central neural drive modulation to muscles of the upper and lower limb; the pooled lower limb median value was 0.2% day−1 loss of voluntary drive in comparison to 0.8% day−1 loss in the upper limb. The current analysis pointed to differential effects of immobilisation on central neural drive modulation to muscles of the upper and lower limb; the pooled lower limb median value was 0.2%·day−1 loss of voluntary drive in comparison to 0.8%·day−1 loss in the upper limb. As highlighted in Sect. 3, there appears to be a wide variation in the effects of limb immobilisation on Mwave amplitude (an increase of + 1.64% day−1 to a decrease of − 3.21% day−1), which is indicative of peripheral muscle excitability, likely at least in part related to the different immobilisation locations and techniques employed in these studies. As highlighted in Sect. 3, there appears to be a wide variation in the effects of limb immobilisation on Mwave amplitude (an increase of + 1.64%·day−1 to a decrease of − 3.21%·day−1), which is indicative of peripheral muscle excitability, likely at least in part related to the different immobilisation locations and techniques employed in these studies. Firstly, strength declined in all but one study, and a comparable relative change of 1.3% day−1 was found in both the lower and upper limbs. Firstly, strength declined in all but one study, and a comparable relative change of 1.3%·day−1 was found in both the lower and upper limbs. On the other hand, the rate of size loss in lower limb muscles was double that in the in the upper limbs with all methods combined (0.4% day−1 vs. 0.2% day−1) in parallel with greater deterioration in contractile function of the lower limb muscles (decline in rate of twitch force development and relaxation changes). 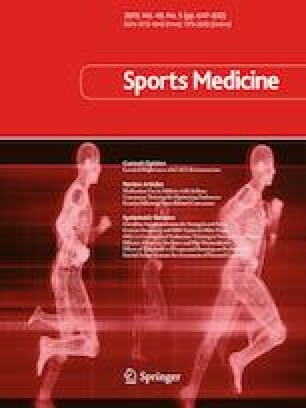 On the other hand, the rate of size loss in lower limb muscles was double that in the in the upper limbs with all methods combined (0.4%·day−1 vs. 0.2%·day−1) in parallel with greater deterioration in contractile function of the lower limb muscles (decline in rate of twitch force development and relaxation changes). This twofold difference in strength change was not, however, proportional to the differences in muscle size alterations (fixed model: − 0.4% day−1 and − 0.6% day−1 medians vs. free model: − 0.3% day−1 and − 0.4% day−1 median, upper and lower limb, respectively), which may be due to measuring the size loss across the whole group of muscles within the immobilised limb segment and disregarding the potential for differential effect size of immobilisation on muscles depending on fibre types  and muscle function. This twofold difference in strength change was not, however, proportional to the differences in muscle size alterations (fixed model: − 0.4%·day−1 and − 0.6%·day−1 medians vs. free model: − 0.3%·day−1 and − 0.4%·day−1 median, upper and lower limb, respectively), which may be due to measuring the size loss across the whole group of muscles within the immobilised limb segment and disregarding the potential for differential effect size of immobilisation on muscles depending on fibre types  and muscle function.